The Prodigy is taking on the Keystone Assault for their season opener this weekend. 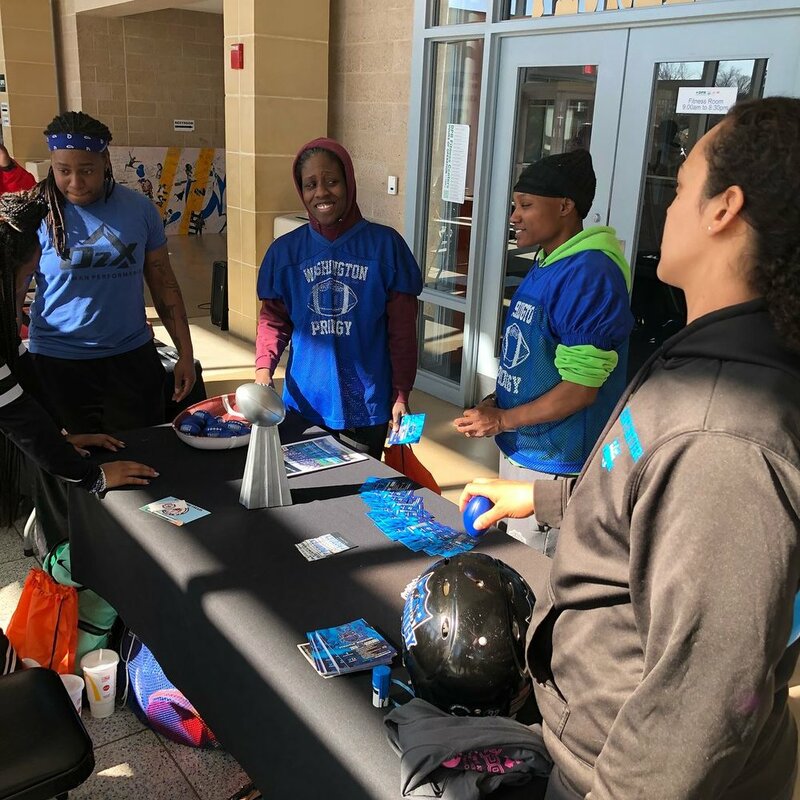 Before the women put on their helmets and hit the field, team members Shantel Wilson, Ramzeh Deensie, and Kourtney Purham-Belton discussed the opener and fight for equality in sports. The Prodigy had the opportunity to partner with #TheThinkingCap to hand out food and supplies at one of DC’s largest shelters. We love giving back to our community, and it’s even sweeter during the holidays! Suitland Elementary had Prodigy players come share about on and off-the-field passions at Career Day. Linebackers Meredith Bell and Mildred Williams as well as fullback Ramzeh Deensie spoke to the class. We love seeing the smiles on the kids faces and encouraging them to be whatever they want to be when they grow up! Veteran linebacker Tinoi Jones talked to JC Hawks radio to give an update of how the defending champs are doing through three games. Fast-forward to the 42 minute mark to hear from #31. 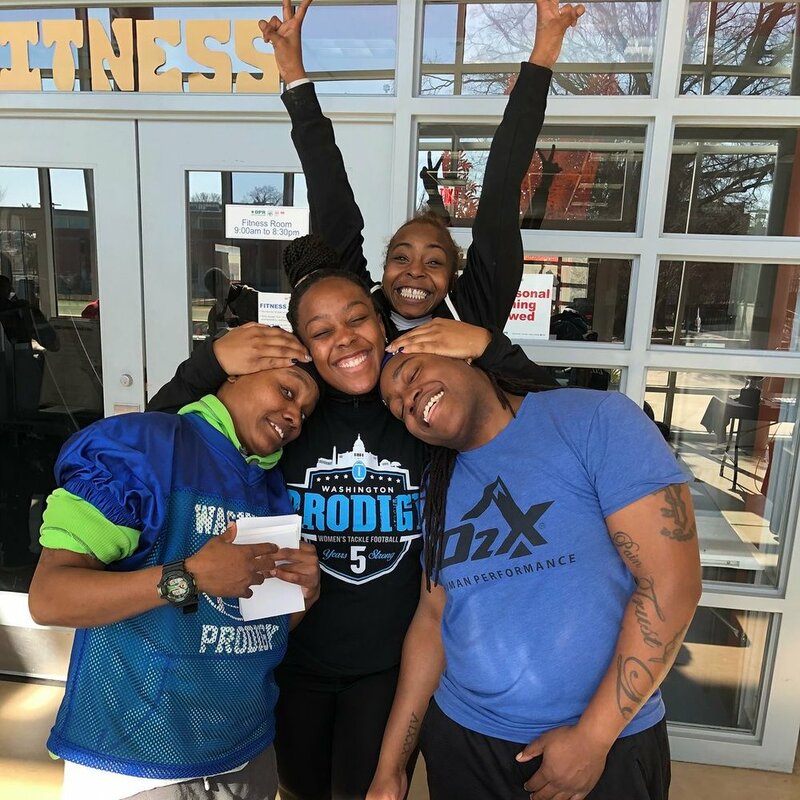 Prodigy Vet Regina "G-Money" Nolan and Rookie Jessica Davis-Ricci joined JC Hawks Radio's '5th Quarter with Coach Johnson' to talk about the preseason and what to expect from the team in 2018. Click on the Link below and fast-forward to the 1:01:48 mark to hear the Prodigy Players! We love giving back to the community, especially when it involves pouring into the kids! Thanks to the staff at Happy Faces Learning Center for letting us run the fitness portion of Family Night! Hope to see some of you tykes on the field in a few years!